Located on a spur of Caherconree mountain, the fort was defended by a stone wall and surrounding cliffs. The site was home to the mythical sorcerer Cú Roí Mac Dáire who is believed to have shamed Cú Chulain (who, in his turn, later got his revenge). Today visitors can climb to the fort and view the Dingle peninsula, Tralee Bay, Kerry Head and the MacGillycuddy Reeks. Amenities: There is no access for wheelchair users and no toilet facilities. There is limited parking on a nearby local road. Opening hours and costs: This site is FREE to visit and is accessible daily. Located on the Ring of Kerry, this monument is an example of a large ring fort made from stone using authentic craftsmanship about 2,500 years ago. This fort may have been built during the Celtic period and could have functioned as a tribal centre. Visitors can explore the interior of the two intra-mural chambers and internal terrace with connecting steps and enjoy views down the valley to the sea. Amenities: As the fort is unmanned, there is no access to wheelchair users or public toilet facilities on site. Opening hours and costs: The fort is open daily FREE of charge, donations are welcome. A monastery was founded here by St Brendan in the sixth century and the friary was the burial place of the Fitzmaurice lords of Kerry from the thirteenth to the sixteenth centuries. Dating back to the 12-13th centuries, the cathedral and churches were built in Romanesque style. Today there are here are three medieval churches, two ogham stones and a number of early Christian and medieval grave slabs remain on site. Guided tours available on request and there is an exhibition. Amenities: There is a car park nearby and full access to wheelchair users upon request. There are portable toilets on site and no café facilities. Opening hours and costs: The site is open daily from 10am-6pm and last admission 45 minutes before closing. Prices are €5 for adults, €4 for seniors/groups, €3 for children/students and €13 for a family ticket. The archaeological monument here at the ruined church dates to the first half of the 12th century. Authentic markings and signs present here include a sundial, tidedial, large stone cross and alphabet stone inside the church near the chancel arch. Some fine stone carving can also be found inside the church and the site is associated with St Brendan and St Maolcethair. Amenities: There is parking available and access for wheelchair users but there are no toilet facilities. Opening hours and costs: The site is FREE to access and remains open daily. Located within Killarney National Park, the furnished Victorian mansion stands on Muckross lake, built for Henry Arthur Herbert in the 19th century. There are traditional farms on site and visitors can see how people lived here in the 1930s and 40s. There is a walled garden to enjoy also. Visitors can also explore the museum on site as well as Torc waterfall and learn about early Bronze Age copper mines. Amenities: There is free parking on site and full access to wheelchair users. There is also a craft shop and restaurant open to visitors. 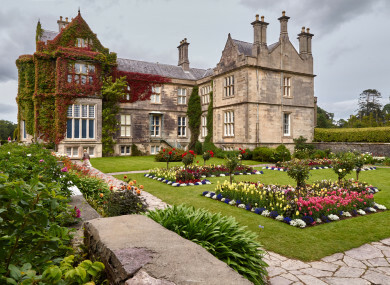 Opening hours and costs: Muckross House is open daily from 9am-7pm and prices are €15 for adults, €13 for senior/student or person per group, €10.50 for children under 18, €6 for children under five and family tickets range from €40-45. Thanks to Kerry County Council for recommendations. LATER: Keep an eye on the site tonight for Kildare’s top 5 heritage picks, while tomorrow is the turn of Kilkenny and Laois. Email “Your summer in Ireland: 5 must-see sites in Kerry”. Feedback on “Your summer in Ireland: 5 must-see sites in Kerry”.